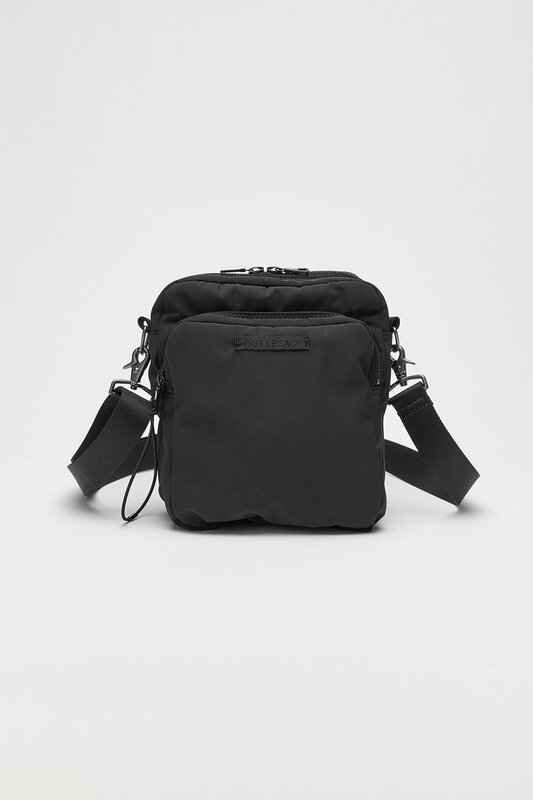 Our Valve Cross Body in Black. 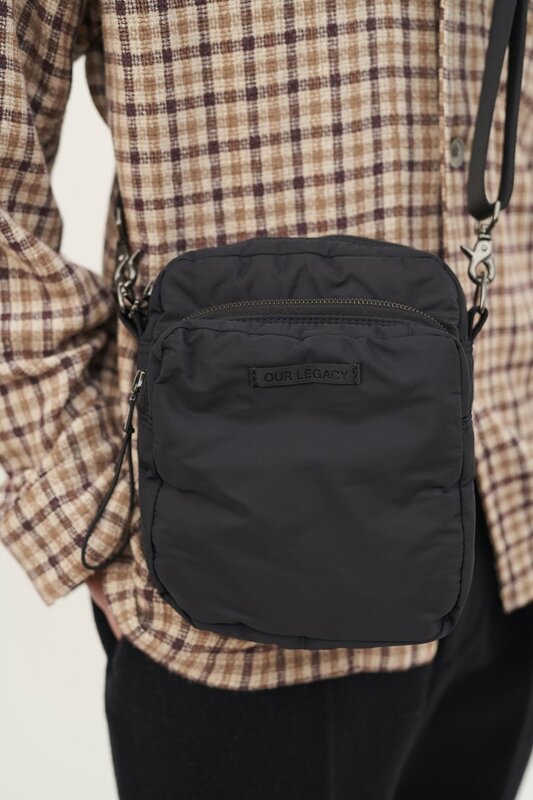 Produced in an Italian nylon fabric, this small shoulder bag features a large central pocket with two way RiRi zip closure and internal OBJECTS label. 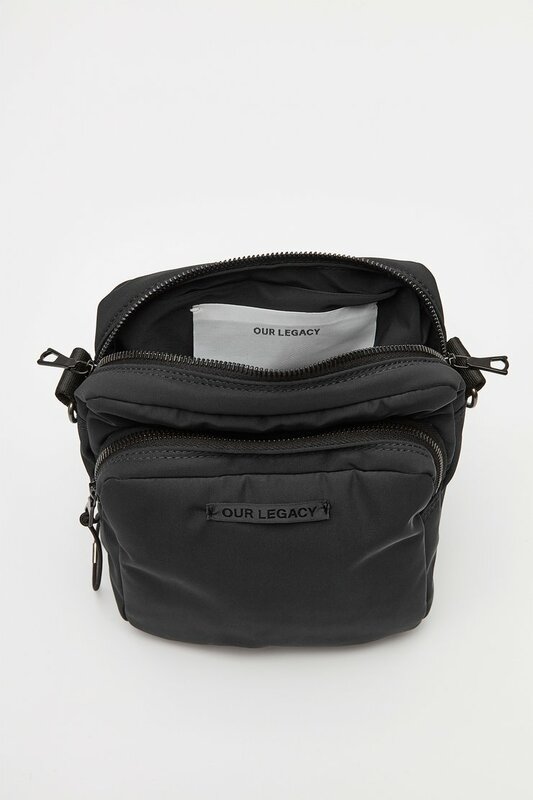 The smaller outer pocket features a single RiRi zip, with Japanese elastic draw cord, and a tonal OUR LEGACY patch. The adjustable shoulder strap is produced in a seat belt nylon and features Japanese nickel coated, barrel finished metal hardware. The Valve bag is padded to protect its contents.